Jennifer Lognion Carpenter, 60, born and raised in Welsh, LA passed from this life on March 12, 2018 in the comfort of her home in Lake Charles, LA. 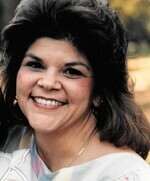 Jennifer was a loving mother, grandmother and sister. She was an advocate for her special needs son and all children with special needs. Jennifer was very talkative and never met a stranger. Her hugs and laughter were like no other. She adored her children and grandchildren whom she loved “Big Big like Jesus, infinity and beyond”. She was affectionately known as GaGa by her Emma Lou and Seany Boy. She was preceded in death by her parents, Walter John Lognion and Emma Guillory Lognion, one brother, Jeffery John “Papa Jeff” Lognion and two stepsons, Jeremy and Chad Carpenter. Jennifer leaves to cherish her memory her loving children, Lauren Paige Charles of Welsh, LA and John Taylor “JT” Carpenter of Lake Charles, LA; two grandchildren, Emma Grace Lognion and Sean Peyton Charles of Welsh, LA; three brothers, Jerrel James Lognion(DeJuan), Jerome Jude Lognion(Claudia) and Joedy Jason Lognion(Bridget); special cousin Clyde Daigle and the love of her life Donny Ray Carpenter. Ms Carpenter’s cremation has been entrusted to Lakeside Funeral Home of Lake Charles, LA. Memories and words of comfort may be shared with the family at www.Lakesidefh.com.